This emerald green crystal suncatcher is uniquely designed with a 30mm prism crystal, emerald green Swarovski crystals, iridescent Swarovski crystals and fancy silver metal beads. The prism will throw beautiful rainbows when in direct sunlight! 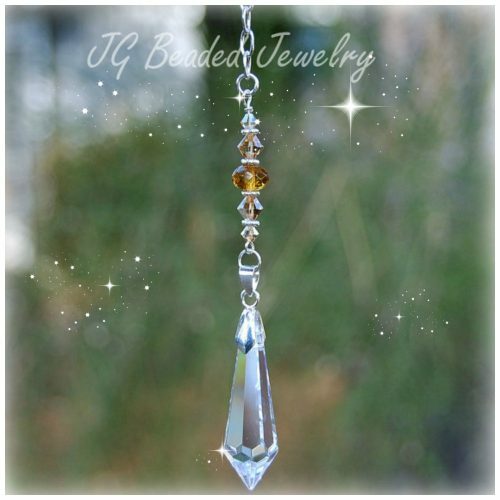 The crystal decoration is wire wrapped with care for strength and longevity. 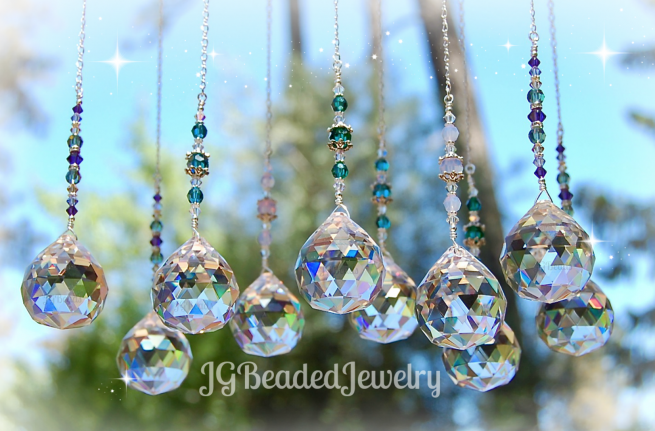 Crystal suncatchers are a wonderful housewarming, birthday or “just because” gift. If you are sending this as a gift and would like a message included, please leave a note at checkout and I will take care of the rest! 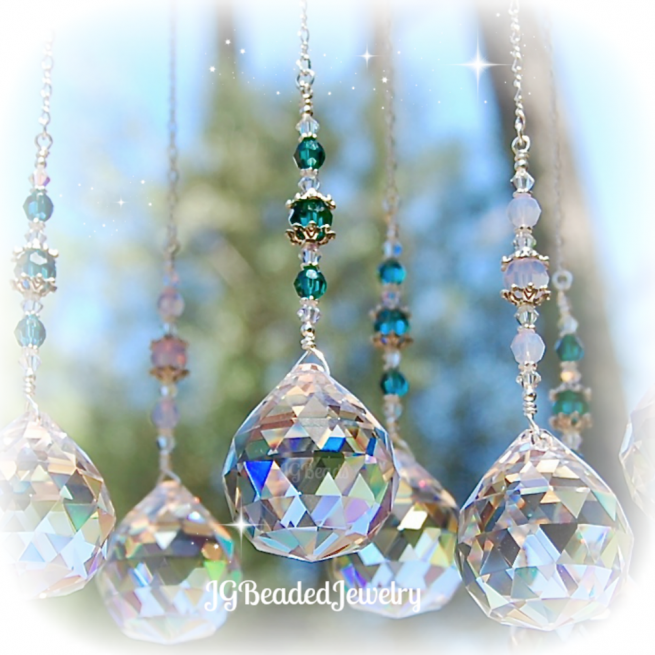 Offering many unique and individually handcrafted Rearview Mirror Decorations, Crystal Suncatchers and Light/Fan Pulls!